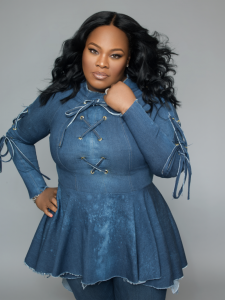 Award-winning artist and songwriter Tasha Cobbs Leonard kicks off the new year with the release of new music today—the powerful new worship anthem, “This Is A Move,” available on all digital platforms. As Billboard’s Top Gospel Artist of 2018, Cobbs Leonard continues her brand of passionate and experiential worship with this new live single. “This Is A Move,” produced by Kenneth Leonard, Jr., was recorded live during Tasha’s sold-out headline tour, The Revival, last year, and evokes the emotion and spirit of her live shows. On the heels of a career-defining 2018, Cobbs Leonard shows no signs of stopping, as she readies her premiere of the song on the 20th Annual Super Bowl Gospel Celebration during Super Bowl Weekend in Atlanta, GA. The music special will broadcast on BET on Saturday, February 2 at 8:00 PM ET/PT. Also, tune in today here, when Cobbs Leonard will introduce the video for “This Is A Move,” on YouTube, along with a Live Chat with fans at 3:00 PM ET/12Noon PT. Viewers will be able to join Tasha as they watch the video together and ask her questions. Tasha recently received a Stellar Award nomination for Song of the Year for her 2018 song “You Know My Name (Live)” from her latest album, Heart. Passion. Pursuit. Live At Passion City. She is slated to tour nationally throughout 2019, including three months of tour dates on Bethel Music’s Victory Tour. A full tour schedule can be found at TashaCobbs.com.